Your generous support is needed to help meet the needs of our most vulnerable families and individuals. Your donation will help provide the assistance a struggling family needs to remain in their home when an unexpected crisis means facing eviction, fuel for a low-income senior on a tight budget, and so much more. Your donation can even be used for a specific purpose, if desired. Please contact Jo Allegro-Smith, Director at (302) 727-4572 if you are interested in learning more about volunteering, making a financial contribution or donating items. ​​Together, we truly CAN make a difference! The Community Resource Center is proud of its many dedicated volunteers. Just one 3-hour shift per month can go a long way in helping many needy families and individuals. 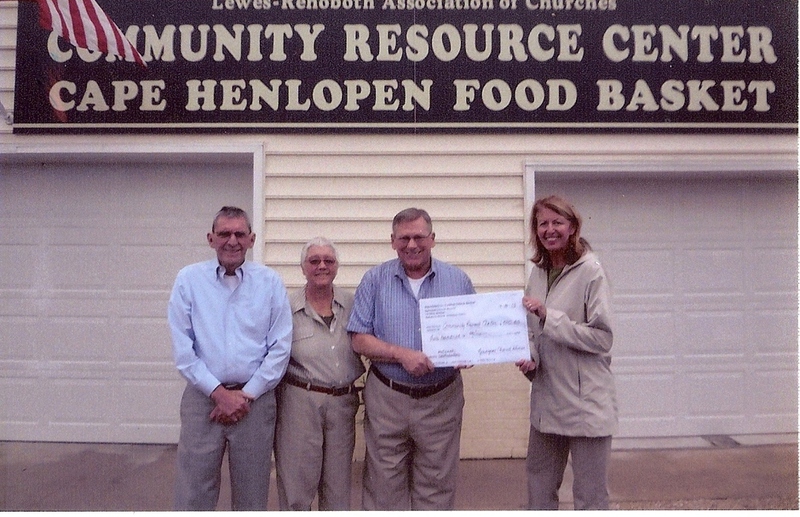 Our Food Rescue and Baby Pantry programs are always grateful to receive donated items. When you are at the supermarket, look for BOGO (buy one get one) deals. Donate the extra items to the Community Resource Center! Larger sized diapers are always in demand, as is cereal, peanut butter, and pop-top canned goods that don’t require a can opener. Maybe you can host a baby shower for the Baby Pantry? Invite your friends to purchase new infant and toddler clothing and then donate those items! Get creative and have fun helping others!